Home MMA News UFC 197 Aftermath: Do we have to choose between Jon Jones and Demetrious Johnson? LAS VEGAS — Do we have to pick one fighter over another in the debate over who is the top pound-for-pound competitor in mixed martial arts? Does it have to be Jon Jones or Demetrious Johnson? Can they be 1A and 1B? After a night like UFC 197 at the MGM Grand Arena, I’m not sure I want to choose one over the other. For one thing, both guys have valid arguments. Jones has never legitimately been defeated in his career. But since you have to technically call his disqualification against Matt Hamill in 2009 a loss, his victory over Ovince Saint Preux on Saturday night gave him 13 wins in a row, the second-longest in UFC history behind Anderson Silva’s 16. Jones has taken out a Murderer’s Row of former champions in the process. Oh, and it’s not like Jones’ performance last night against Saint Preux in Jones’ first bout in 16 months was the dud some have painted it as, either. 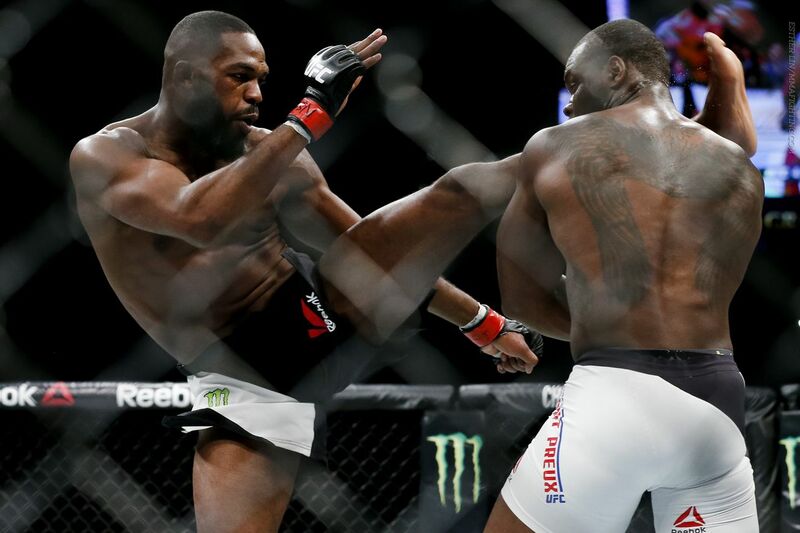 Jones landed some wicked shots that would have broken the will of fighters less tough than OSP. Jones’ work in the clinch and along the fence was still nasty, enough that nemesis and current light heavyweight titleholder Daniel Cormier really shouldn’t crow too loudly about Jones’ performance. But we’ve raised the bar so high for Jones that many of us couldn’t even conceive of the notion he’d be affected by ring rust the way a mortal would, or by a change in opponent, which turned into a setup for a letdown.